Broadleaf plantain is a common turf problem, often arising in poorly kept lawns where open patches of soil present prime areas for weed invasions. This vigorously growing weed can quickly ruin your lawn's appearance, and can sometimes appear elsewhere in your garden, such as in flower beds. Take immediate steps to kill broadleaf plantain to eradicate the problem. Early removal is important to prevent the plantain from growing seeds and spreading even further. Remove the broadleaf plantain manually. This is best for solitary patches of plantain, and the only killing method for mature plants. Grab the main stem at the center of the plantain patch and pull upwards. Discard the plants or allow them to dry upside down before throwing them in your compost pile. Treat your lawn with an isoxaben-based, pre-emergent herbicide to stop broadleaf plantain seeds from germinating. Apply in the early spring according to the herbicide's label as soon as the soil's temperature reaches 50 degrees Fahrenheit, which is when broadleaf plaintain seeds start to sprout. Spray broadleaf plaintain seedlings with a lawn herbicide formulated with 2,4-Dichlorophenoxyacetic acid. This sufficiently controls young broadleaf plaintain plants without harming your lawn. Mist mature broadleaf plantain with a glyphosate-based herbicide if the plantain is not near other vegetation. Cover all exposed surfaces of the plantain. It will die within 14 days. Prevention is key when it comes to broadleaf plantain. Densely pack your flower beds and garden with vegetation to reduce the availability of soil space and sunlight for plantain to grow. 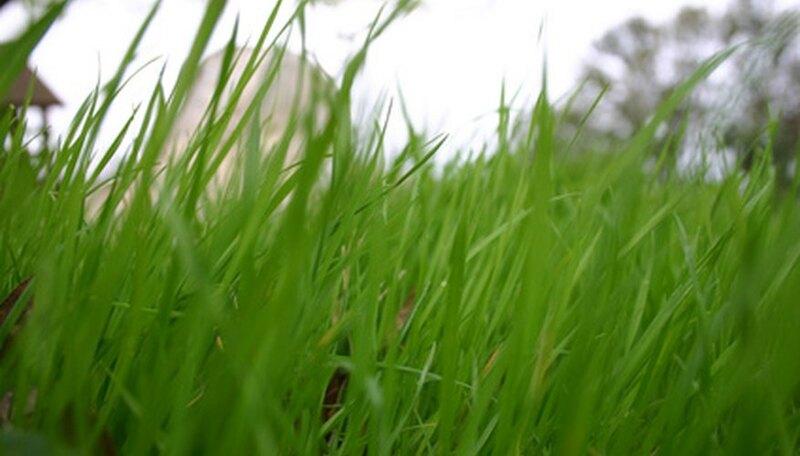 In lawns, water, feed and mow the grass as appropriate for your lawn grass species to create a dense turf that chokes out all other plants. Once a broadleaf plantain plant is several inches long, the only successful chemical controls are systemic herbicides like glyphosate. This poses a problem when broadleaf plantain is growing in lawns or among ornamental flowers. In such cases, manually uprooting it is the only way to kill the plant.